Share this product and receive a $0.61 sharing discount. First Communion... 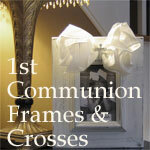 Celebrate the very sacred occasion of a First Holy Communion with a lovely remembrance cross. 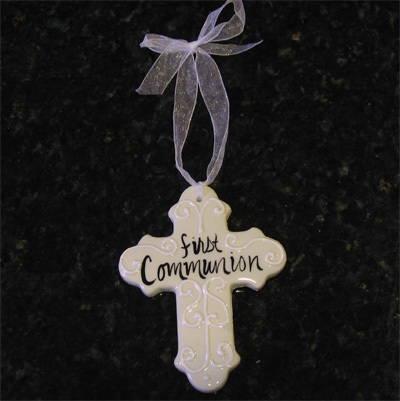 This handpainted ceramic cross measures 5" x 3 3/4" and is ready to hang. Handmade in Texas.